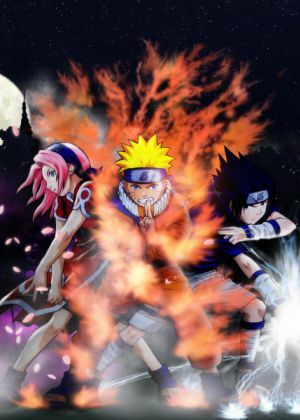 This is Sakura, Naruto, and Sasuke from the anime Naruto. Thou hast discovered Absolute Anime™. Inside you will find thousands of anime-related profiles containing detailed information about your favorite anime characters, movies, OVA series, and TV shows, plus a section dedicated just to anime that has been shown on U.S. television and forums for various anime discussions. The main focus for the profiles within this site is on information, and thus many of them may contain spoilers, so if you don't want any secrets revealed then you should leave now! Also, even though the focus here is on information, most profiles do contain at least one image to help provide a visual representation, and a few even have image galleries and/or links to other websites with related content. Okay, so that's about it. Now that you're in the know about the basics of Absolute Anime™, all you must do is decide where to begin your journey. Please enjoy your visit! Anime (アニメ) is, in the simplest term, animation from Japan. As you can imagine, this covers a whole heck of a lot of varying artistic styles, many of which differ quite drastically, yet the common thread through it all is exaggeration. Characters having large eyes or exuberant unnaturally colored hair are often the first features to stand out for a person new to anime, but there are also techniques such as colored lines or icons drawn over faces to indicate specific emotions or temporary physical deformations such as flattening a face when a character is struck hard or turning them into a "chibi", which is a short, super-cute version of the character with a really large head and small body. Anime is produced in three basic forms, on television, as Original Video Animations (OVA), and as full length feature films. Of these three mediums, movies typically have the best art and animation, as they have more development time and a larger budget, whereas television anime has more time to delve deep into a story and develop the characters. 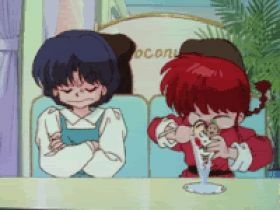 Unlike a lot of Western cartoon where plots are created and concluded in a single episode, television anime tends to have stories that span across the entire season, making it important to watch the show in order and hopefully not miss any episodes! Anime isn't just for kids or sci-fi and fantasy geeks either, as it spans every type of genre imaginable. Some are made for young children, where others are strictly for adults only. 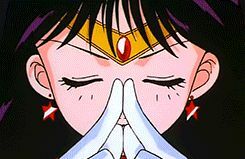 No matter who you are, there is sure to be anime out there that melds with your desires, so please don't be turned off to anime as a whole if you happen to come across one or two series that you didn't care for. Try a different genre, or a different animation studio, because once you find that one show that emotionally touches you like no other before it, you will be hooked! So go find that anime, and experience the wonder of Japanese Animation! For everyone out there that is already a huge fan of anime and manga there is a short-documentary series on YouTube called “toco toco” that follows Japanese creators and artists which I would recommend checking out. New episodes are released the first of every month.